More on the Auralex Acoustics Designer Series Triangular LENRD Bass Traps (Burgundy pack of 8) DSTLENBUR below. Auralex's Low End Node Reduction Device (or LENRD) bass traps help control low-frequency sound waves and room nodes/resonance bumps. 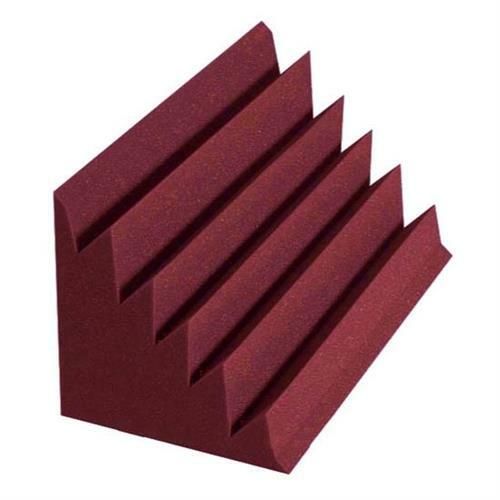 The "DST- LENRD" is a triangular-shaped bass trap that fits into room corners and wall/ceiling junctures for reliable, unbeatable bass sound absorption. DST LENRD bass traps offer the same great performance of the standard LENRD bass traps, with the added visual continuity of the DST Studiofoam products for a clean, angular presentation. 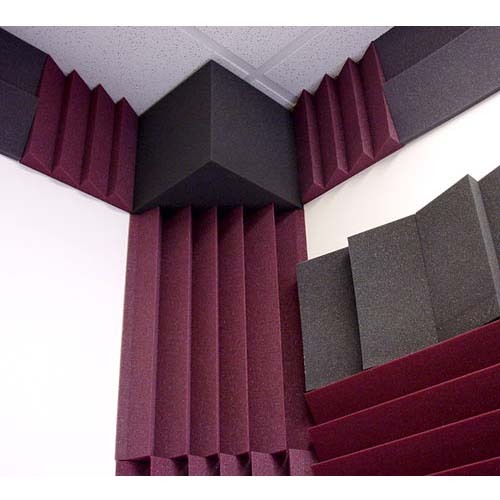 High-quality acoustical absorption foam guaranteed not to crumble with age. Reduces room nodes and resonance bumps. 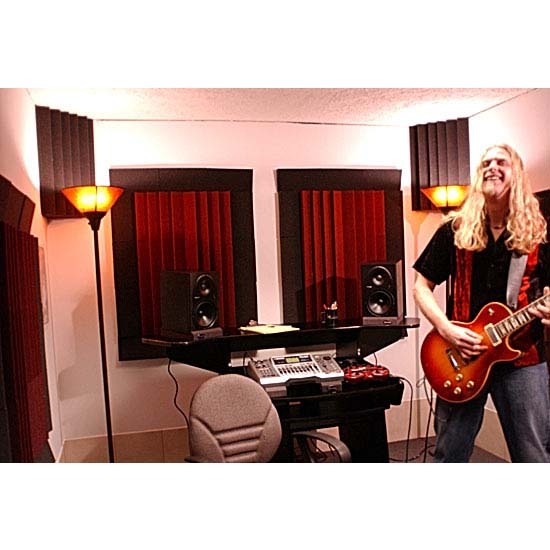 Smooths Out Low Frequency Response Of Your Space. 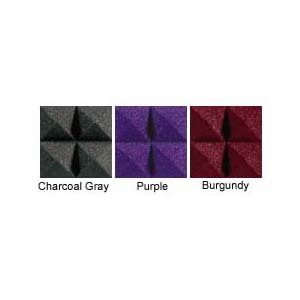 Available in 3 color choices: Charcoal Gray, Burgundy, or Purple. Designed to match any decor. 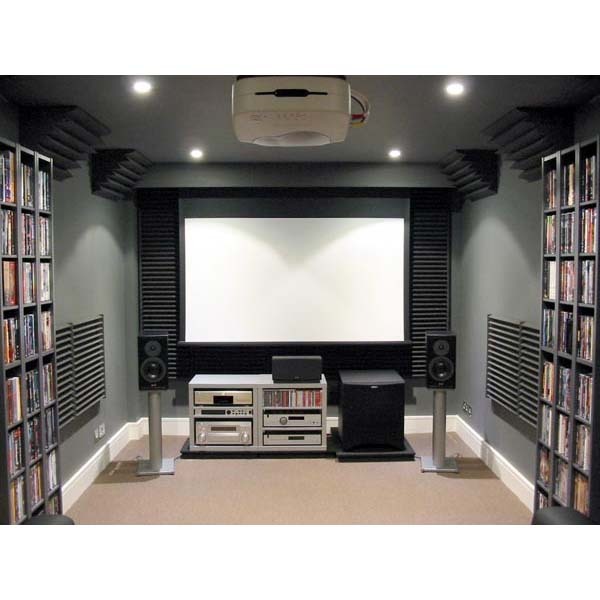 Standard LENRD bass traps are available from the "Related Products" section below. Suggested Adhesive: 1 Foamtak canister or 2 Tubetak tubes per box (sold separately).